Reliable sources suggest (perhaps unsurprisingly) that the early season pace of the Ferrari F430 GTC has not gone unnoticed. With the car proving to be the quickest of the current GT2 crop in ALMS, Le Mans Series, FIA GT, British GT (usually) and International GT Open racing (albeit with some reliability niggles still to attend to), it has all of a sudden become the car to have. 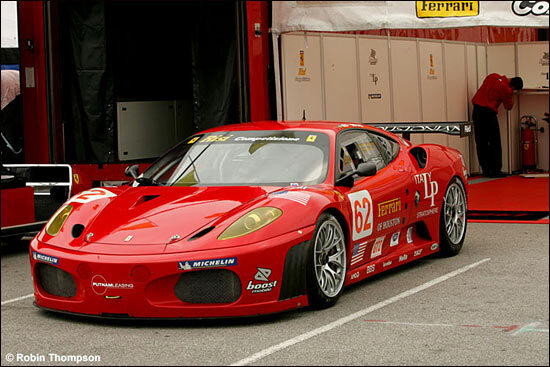 DSC believes that by the end of the 2006 season there may be more than 20 of these cars in regular competition, with the Italian and Spanish GT Championships in particular each likely to see a number of new cars emerging. There may also be a few surprises in store. 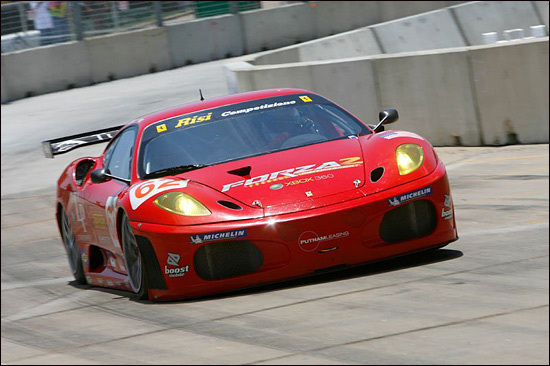 How many 430s will we have racing in the ALMS by the end of the season, to join the solo Risi entry at present? Time will tell, but with the GT2 grid stateside looking less and less like a Porschefest nowadays, we believe that new teams / cars may well be about to emerge, equipped with lots of prancing horsepower…. Meanwhile, teams running Porsches at Le Mans seem content with their lot, the new Ferraris not yet able to show Porsche-like reliability. They have yet to win in the ALMS, the score is 1-1 in the Le Mans Series, while strength in numbers has meant that it is Ferrari 2, Porsche nil in the FIA GT Championship – but the #75 Ebimotors 911 GT3-RSR has finished second at Silverstone and Brno. This is the current Risi Ferrari - without and with its new sponsorship from Forza Motorsport 2 and Xbox 360® on the hood of the car. The new livery made its first appearance during the Lone Star Grand Prix in Houston, where Mika Salo / Jaime Melo finished third, and set the fastest race lap (for the second time this year - although it wasn't fastest at Mid-Ohio).